At the eastern edge of our service area , you’ll find the village of Hecker, Illinois. 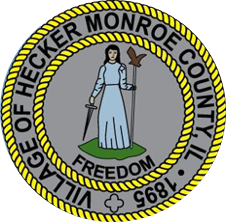 With its start in 1895, Hecker is one of the older municipalities in the region. The village is at the intersection of Route 156 and 159; both roads leading to larger highways allowing the businesses in Hecker a means of transportation for exporting and importing their goods.